An elliptical galaxy is a type of galaxy having an approximately ellipsoidal shape and a smooth, nearly featureless brightness profile. They are more three-dimensional, without much structure and their stars are in somewhat random or bits around the center. 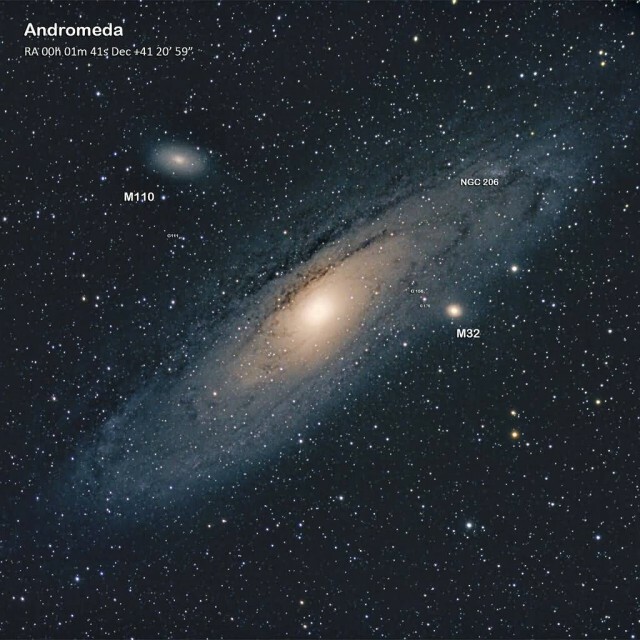 They range in shape from nearly spherical to highly flat and in size from tens of millions to over one trillion stars. 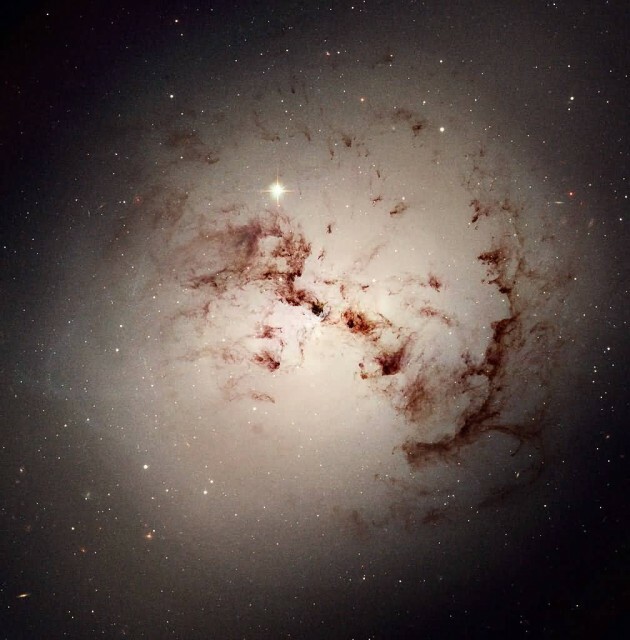 Most elliptical galaxies are composed of older, low-mass stars, with a sparse interstellar medium and minimal star formation activity and they tend to be surrounded by large numbers of globular clusters. 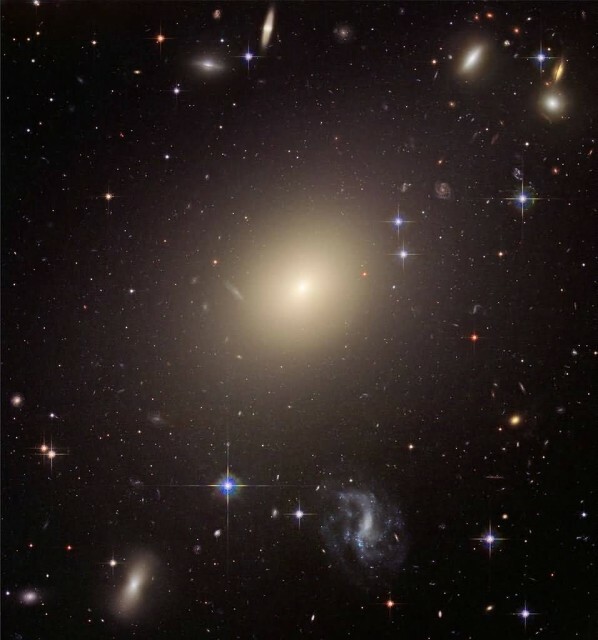 Elliptical galaxies are believed to make up approximately 10-15% of galaxies in the Virgo Supercluster and they are not the dominant type of galaxy in the universe overall. Elliptical galaxies vary greatly in both size and mass, from as little as a tenth of a kiloparsec to over 100 kiloparsecs and from 107 to nearly 1013 solar masses. The motion of stars in elliptical galaxies is predominantly radial, unlike the disks of spiral galaxies, which are dominated by rotation. 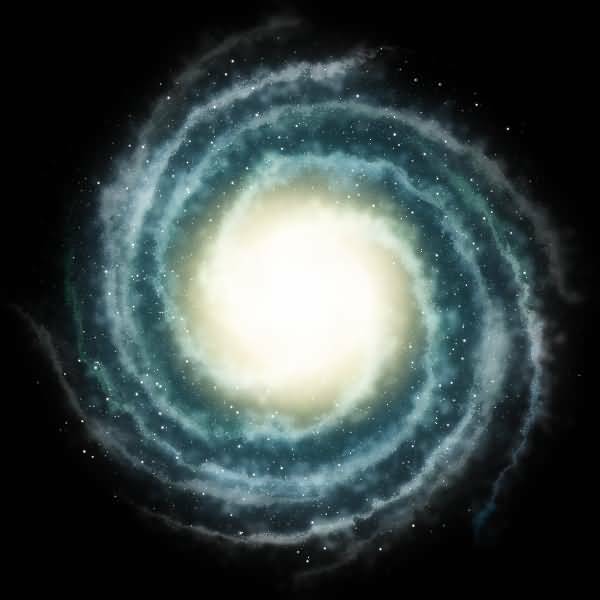 Furthermore, there is very little interstellar matter (neither gas nor dust) which results in low rates of star formation, few open star clusters and few young stars, rather elliptical galaxies are dominated by old stellar populations, giving them red colors. 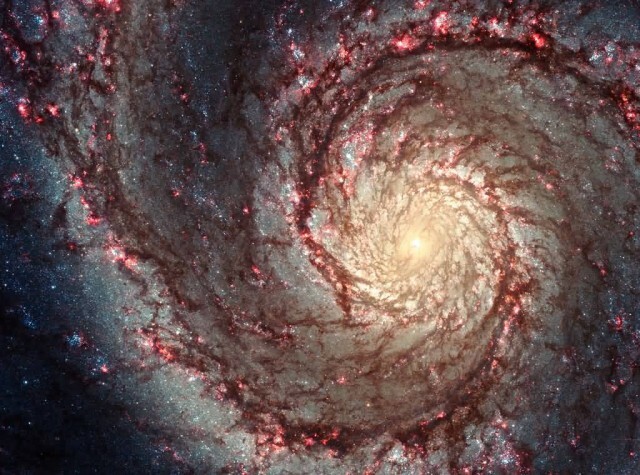 Spiral galaxies consist of a flat, rotating disc containing stars, gas and dust and a central concentration of stars known as the bulge. These are surrounded by a much fainter halo of stars, many of which reside in globular clusters. An Irr-I galaxy (Irr I) is an irregular galaxy that features some structure but not enough to place it cleanly into the Hubble sequence. 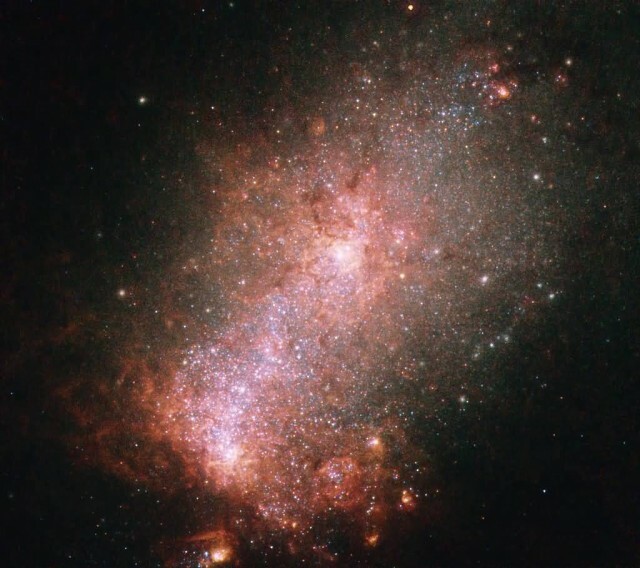 An Irr-II galaxy (Irr II) is an irregular galaxy that does not appear to feature any structure that can place it into the Hubble sequence. A dI-galaxy (or dIrrs) is a dwarf irregular galaxy-This type of galaxy is now thought to be important to understand the overall evolution of galaxies, as they tend to have a low level of metallicity and relatively high levels of gas and are thought to be similar to the earliest galaxies that populated the Universe. 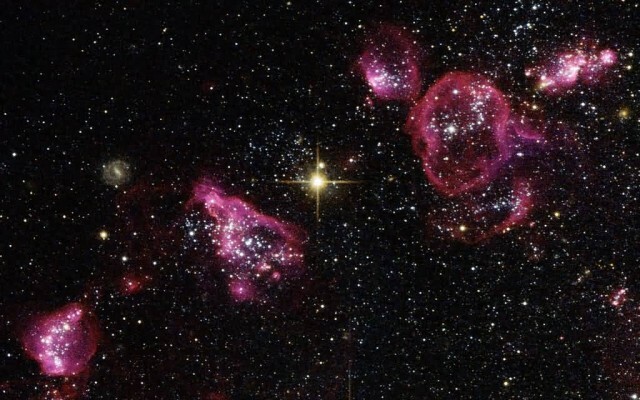 The Magellanic Cloud galaxies were once classified as irregular galaxies.